“Er gwaetha pawb a phopeth” - The vision of a socialist Wales isn't dead. The Lever Editorial Group’s third essay on fascism and anti-fascism. In this essay, we discuss the history of communist strategy for confronting fascism, and suggest a possible strategy and tactics for today. Muhsin Yorulmaz calls for a return to the Hegelian routes of ‘Dialectical Materialism’ as a way to develop a theory and practice relevant to the demands of the 21st Century. Linda Wittig writes on the social chauvanism of Alexandria Ocasio-Cortez and the neoliberal and postmodernist appropriation of revolutionary critique. 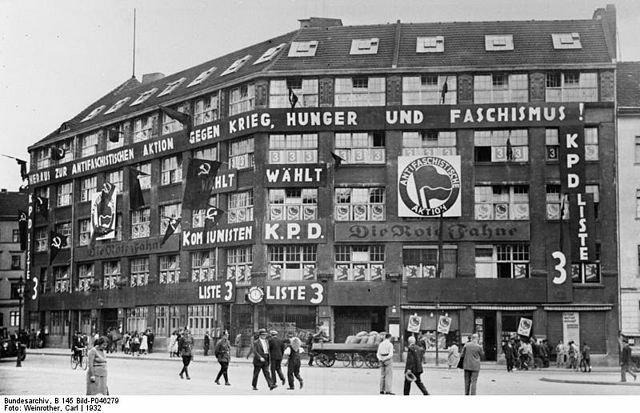 The Lever Editorial Group writes on the ideological struggle against fascism, and the current tactics used by the left. In the first part, we will be providing the context in which a theoretical discussion of anti-fascist struggle has become a “burning question of our movement” in Britain today, as well as some of the limitations of the current proposals for organisation that go beyond the demo/counter-demo dynamic. Tom Duffryn writes on socialist republicanism and Wales today. How many nations live in England? The Lever Editorial Group responds the Where Is the Winter Palace? On the Marxist-Leninist Trend in the United States by Avery Minnelli and Eliezer Levin, published on the blog The Left Wind. The Lever Editorial statement against the imperialist intervention in Syria by British, French, and US Forces. In this article the Carson Rainham, a social work student in London, discusses the potentialities of an emergent return to radical social work, the contradictions of social work under capitalism, the need to adopt a revolutionary method and in turn create a new pedagogy to ensure its survival. Daniel Sillman writes in memory of Fred Hampton and Mark Clark, 49 years after their assassination by police. The Lever statement in memory of martyred British YPG Internationalist Oliver Hall. Hans Scholl writes on the history and origins of a small Armenian community in North-East Syria and the preparatory meeting of the Armenian Youth Council which took place there. The Lever statement in solidarity with trans people.